Polyurethane spray foam, or exterior foam spray, has grown in popularity for many commercial and industrial property owners. 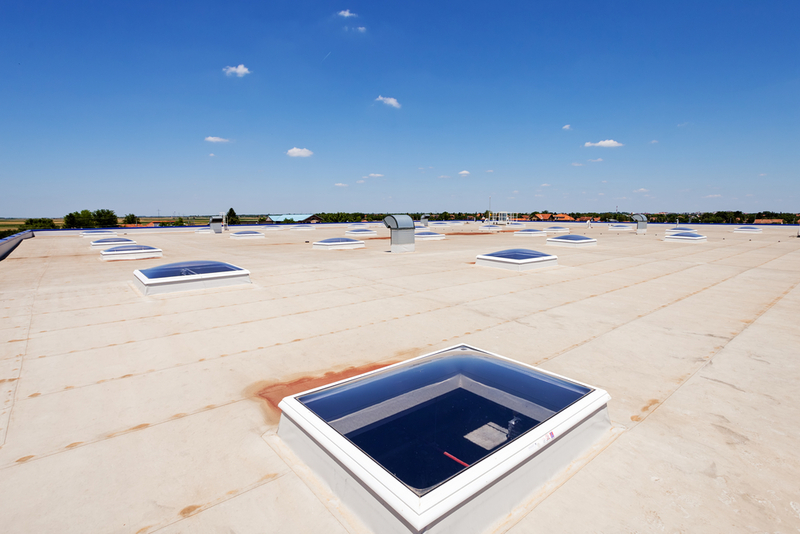 It is an eco-friendly roofing option that comes with several advantages. Here, the commercial roofing contractors at Ridge View Roofing Solutions in Pitman, PA, share a few ways your roof can benefit from exterior foam spray. Rainwater or melted snow pooling in one location on a flat roof can lead to considerable damage to the building, including premature deterioration of the roof’s membrane and coatings. Polyurethane spray foam can eliminate this issue by filling up low areas and creating a slope, which will allow proper drainage. The new slope will also help reduce additional weight from the pooling water. Many roof problems begin at the seams, which are often the weakest part of the system. If they are not fused correctly, outside water and air can infiltrate the system and lead to harmful mold buildup. If left unaddressed, weak seams can cause a total roof failure. Spray on roofs, however, are a seamless system. The foam doesn’t leave joints for water to seep through, which makes the roof more secure. Once the liquid polyurethane foam is sprayed to a surface, the two become nearly inseparable. They turn into a near-monolithic structure that is capable of withstanding hurricane-force winds. This keeps the roof strong, yet flexible enough to withstand contracting loads and expansions. As the go-to commercial roofing expert in Schuylkill County, Ridge View Roofing Solutions provides exceptional services for businesses, including roof and TPO repairs and metal roof restorations. With their honest estimates and knowledgeable team of commercial roofing contractors, you can be sure your newly repaired roof will successfully withstand the elements for years to come. For more information, visit their website or call (570) 490-0513 to schedule an appointment. What Types of Roof Restorations Are Offered at Ridge View Roofing Solutions?